In the mid-1990s, satellite television and the Internet began to spread in the Middle East, permanently altering the previous hierarchy of political and religious authority. While longstanding institutions were not necessarily irrelevant if they used their financial might to acquire a high-tech bully pulpit, they were joined by a broad array of individuals and organizations that carried distinct religious messages and spoke to a mass audience. In tandem, these masses now challenged political and religious elites, whether by asking pointed questions or by taking advantage of an increasingly pluralistic religious marketplace to “shop” for religious rulings. This is the basic narrative that defines scholarship on religious satellite television. The goal of this essay is not to question the premise that communication technology can transform the balance among claimants to authority within the public sphere, nor does it seek to understate the importance of satellite television and the Internet to contestations over Islam today. Rather, this essay uses the rise of the Islamic Revival in 1970s Egypt as a case study to trace the precedents for the changes in authority, public debate, and interactivity that we associate with satellite television and the Internet. A substantive question that forms the starting point of this essay is: what were the media dynamics of 1970s Egypt? To quote one influential study, “In the 1970s and 1980s, Arab states asserted their power over national and transnational publics alike, shutting down public debate beneath a stifling hand of censorship and repression.” While this study makes the claim to ruptures in the 1990s in explicit fashion, it is hardly alone as previous studies of Islam and contemporary media in Egypt say little about this period, implicitly affirming the claim that there is little of significance that occurred. This narrative, however, confronts us with a seeming paradox, as Islamic media played a crucial role in the rise of an Islamic Revival in Egypt. While the period of Jamal ʿAbd al-Nasir’s rule (1954-1970) saw mass repression of alternative religious viewpoints –fully in line with the narrative of stifling control proposed by the existing literature–the reign of Anwar al-Sadat (1970-81) involved a veritable flowering of Islamic media. Among print producers, the Muslim Brotherhood published al-Daʿwa, leading elites within the Salafi-Islamist Jamʿiyya Sharʿiyya produced al-Iʿtisam, and quietist Salafis within Ansar al-Sunna al-Muhamadiyya published al-Tawhid. 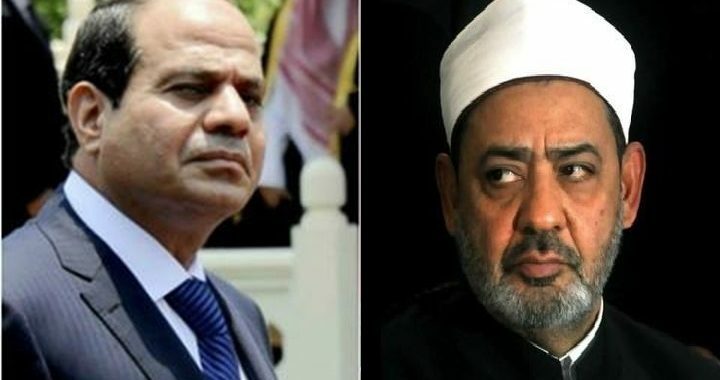 State competitors joined these independent Islamist and Salafi organizations, as the Islamic Research Academy published al-Azhar and the Supreme Council for Islamic Affairs, published Minbar al-Islam. While many of these periodicals –or their sponsoring organizations –had published during the ʿAbd al-Nasir period, Sadat’s self-conscious claim to piety opened up new opportunities for those who had previously published to tackle new topics, and for the Muslim Brotherhood to reemerge on the national stage. Neither was the media battle limited to print: audiocassette sermons by prominent Islamist preachers echoed across Egypt’s urban landscapes, questioning not only the al-Sadat regime’s vision of religion and politics, but also it’s very claim to public space, while state-aligned preachers such as Muhammad Mutwalli al-Shaʿrawi spoke to mass audience through terrestrial television. The question, though, is not merely whether the 1970s saw significant religious speech, but whether this opportunity opened up contemporary Islamic thought to new audiences. This question has two components: how did Islamic print media in the 1970s broaden networks of religious knowledge (often described as “democratizing” religious knowledge) and to what extent was this transmission process interactive? The importance of this question extends beyond the 1970s insofar as it stands as a central, if often unspoken, assumption of claims to the significance of satellite television and the Internet to contemporary articulations of Islam. Under al-Sadat, Islamist and state-aligned elites used media –particularly magazines –to speak to an audience both within and beyond Egypt. Whether at newspaper sellers in Cairo and Alexandria, urban centers through the Nile Delta and Upper Egypt — or even the traveling religious caravans that distributed the Supreme Council for Islamic Affairs’ religious vision throughout Egypt’s countryside — proponents of alternate religious visions sought to cultivate a mass audience and to mobilize their growing constituencies to carry out particular projects of piety. At the intersection of increasing literacy and urbanization, a broad textual world of contemporary religious thought became accessible to Egypt’s economically heterogeneous yet literate middle class. Just as importantly, this was hardly a unidirectional intellectual network — a crucial point that echoes contemporary interest in the popular participation enabled by satellite television and the Internet. In the face of restricted access to television, radio and daily newspapers, Islamic magazines were the sole means by which religious elites, particularly Muslim Brothers and Salafis, could speak to a national audience while also receiving feedback on their efforts. Specifically, the letters to the editor and fatwa sections of Islamic magazines allowed scholars and religious intellectuals alike to gauge the impact of their particular programmatic visions and enabled readers to question the broad ambitions of these claims and to identify obstacles to their implementation on a local level. Ultimately, editors exercised control over which letters were published and, in the absence of an unfiltered roll of editorial correspondence, it is not possible to identify which types of letters editors would exclude. At the same time, though, one should not dismiss the ways in which satellite television producers and website owners, too, exercise a gateway keeping function. The significance of reach and interactivity, however, is dependent on impact. Observers and producers of Islamic media often struggle with this very question: how can one translate media-based proposals for change into either explicit campaigns of religion-political mobilization, or in much more quotidian yet potentially more significant fashion, alternative models of social practice? During the second half of al-Sadat’s rule (1976-1981), leaders of Egypt’s Islamic opposition sought to guide readers to three distinct practices that aimed to redefine the role of religion in Egyptian public life: an expanded vision of religious education and literacy, a renewed emphasis on veiling and gender segregation, and the increased performance of the early afternoon Ẓuhr prayer within state controlled bureaucratic institutions and schools. For reasons of time and space, I want to focus in on what the last of these practices –daily performance of the Ẓuhr prayer –can reveal about the opportunities and limitations of media-based efforts to cultivate piety and to transform social practice. Very briefly, the Ẓuhr is one of Islam’s five daily prayers, and as such, a central component of one of the five pillars of Islam. 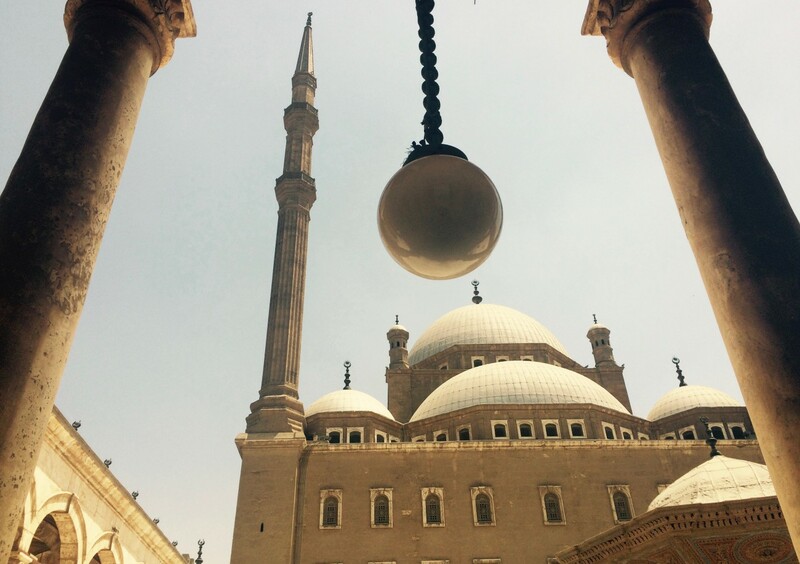 The challenge for Muslim Brothers and Salafis, however, was that, up until the mid-1970s, school schedules in Egypt –and to a lesser extent, bureaucratic schedules–did not set aside time for it during the school and work day. In the mid-1970s, activists within the Islamic student movement (al-Jamaʿa al-Islamiyya), alongside religious elites within the Muslim Brotherhood and the Salafi-Islamist Jam‘iyya Shar‘iyya, used the temporality of prayer as a means of sidestepping the illicit language of national politics. In the face of a state that trumpeted the congruence of science and faith (al-ʿilm wa-l-iman) and sought to coopt Islamist claims to authenticity, these movements sought to entrench prayer in the clocks (and heart) of state institutions. Once the ministry of education acceded to this demand, the next demand, less successful than the call for timely performance of daily prayer, was for the provision of prayer space for collective performance –and socialization –within schools and workplaces. Islamic magazines were central to this effort, whether by broadcasting the original programmatic vision, elucidating specific details of performance, or enabling elites to amend these programs in accordance with reader correspondence regarding on-the-ground realities. This is, on the surface, a story of the power of print media to shape social practice and to expand the ranks of potential supporters of Islamist organizations. Put simply, media enabled Islamist elites to launch an interactive campaign, which targeted the core of state institutions and subverted state models of order, spatial and temporal, to the point that this key cultural institution quietly adopted this project as their own. At the same time, though, limitations abound: media did not allow Islamist elites, rank and file members, or potential supporters to overturn existing institutions, or to build their own mosques adjacent to schools. 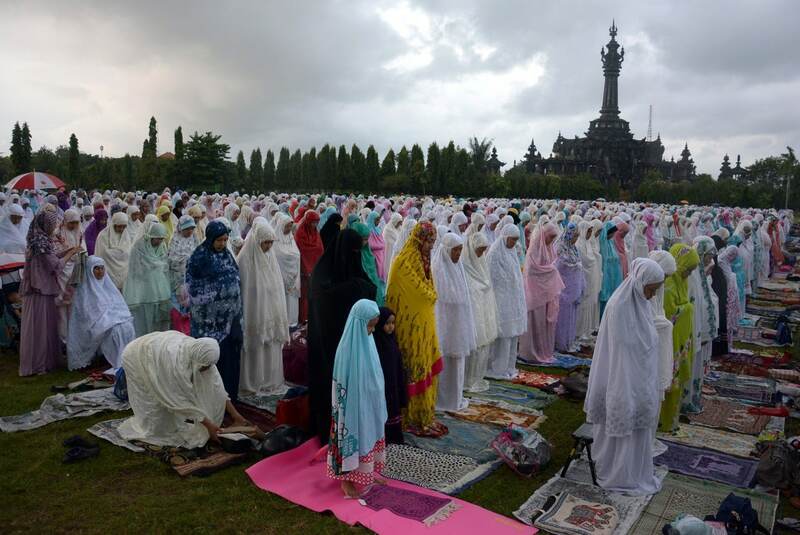 Instead, they had to lobby sympathetic government employees to facilitate daily prayer within state-controlled spaces. If the transmission from Islamist elites to their audience had been relatively smooth and feedback between elites and their constituencies comparatively direct, the challenge of implementing these programs on the ground level –and acquiring the necessary resources within the state to do so –remained. There are similarities and differences between Islamic media today and Islamic media in 1970s Egypt. The intervening decades have seen a range of significant technological advances, most notably satellite television and the Internet, and even before that, the proliferation of cassette tape players and increased popularization of televisions that receive terrestrial signals. These new mediums joined, rather than replaced, previous modes of communications. 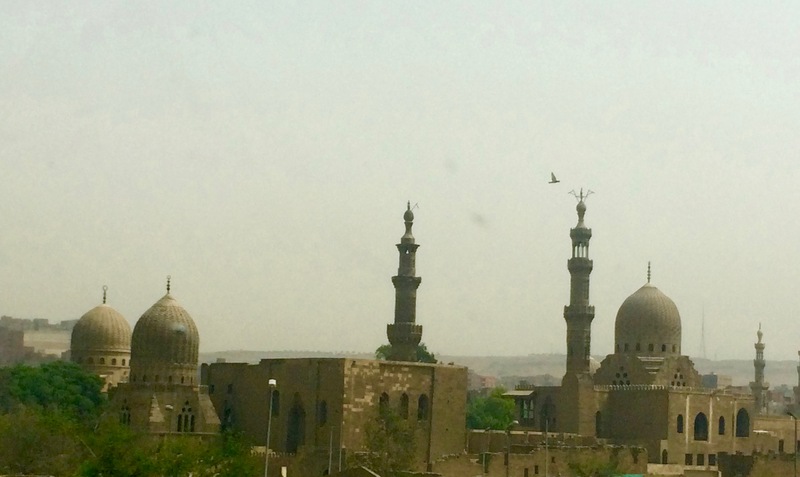 What can the history of Islamic media, particularly the media-based activism of 1970s Egypt, reveal about the distinctiveness of Islamic satellite television as a project of religious transmission and pious change? The first difference is who can produce Islamic media. Prior to the rise of satellite television and the Internet, alternative voices could speak with the support of an independent religious organization, and such organizations tended to be Islamist. In this context, potential religious producers had a choice between state institutions (and the political quietism that they mandated) or Islamist organizations (and the political project that they trumpeted). Put differently, the contrast between these two ideological camps was not merely in the realm of ideas, but also built into the media environment, thus strengthening the notion that these were the only two religious options. Today, by contrast, an individual such as Amr Khaled can rise to prominence independent of either state institutions or Islamist organizations. The second shift is one of audience. By the 1970s, print materials were available to an unprecedented number of Egyptians due to both the increased distribution facilitated by expanding urbanization, and to significant literacy gains thanks to the expansion of public education under ʿAbd al-Nasir. By contrast, terrestrial television, while available to an increasing number of households, hosted a narrow array of religious producers. Satellite Islamic television today, alongside the opportunities for audiovisual communication offered by YouTube, reaches a far broader audience than ever available to print media. Yet, this broad audience is not necessarily more unified; instead, the spread of media, both a product and reflection of increased ideological polarization, offers viewers greater opportunities to live within an echo chamber that stretches across the Middle East. While the use of media to build Islamic publics is not new, satellite television and the Internet have empowered established and marginal actors alike to build their own transnational communities. Though al-Daʿwa had previously served as the mouthpiece of the Brotherhood between 1951 and 1954, it returned to publication in 1976. For more details on this development, see Muhammad Mansur Hayba, al-Sihafa al-Islamiyya fi Misr: Bayna ʿAbd al-Nasir wa-l-Sadat (Cairo, Egypt: Dar al-Wafaʾ l-il-Tibaʿa wa-l-Nashr wa-l-Tawziʿ, 1990), 230-7. Al-Iʿtisam was first published in 1939 as a mouthpiece of the Salafi charitable society, Ahl al-Sunna, before becoming the official journal of the Jamʿiyya Sharʿiyya in 1952. Tensions over how politically engaged the periodical should be, however, led to its official split from the JS in 1961, even as each issue noted that the periodical “Follows the principles of the Jamʿiyya Sharʿiyya. The mid-1970s, in turn, saw the transformation of this periodical from a journal with long articles to a fast-paced magazine with increasingly prominent pictures. For more on the history of this periodical, see Aaron Rock-Singer, “Guiding the Pious to Practice: Islamic Magazines and Revival in Egypt” (unpublished dissertation, Princeton University, 2016), 42-7. Al-Tawhid published as the mouthpiece of Ansar al-Sunna al-Muhamadiyya between 1973 and 1981. For a discussion of the geography of the readers in al-Daʿwa, al-Iʿtisam and Minbar al-Islam whose letters appeared in these magazines, see Aaron Rock-Singer, “A Pious Public: Islamic Magazines and Revival in Egypt, 1976-1981,” British Journal of Middle Eastern Studies 42:4 (2015), 427-46, cit. 431, 437-8. See Rock-Singer, “A Pious Public,” 439-45. See Terje Rasmussen, “The Internet and Differentiation in the Political Public Sphere,” The Nordicon Review 29:2 (2008), 73-83, cit. 76. For a recent journalistic study of Facebook’s gatekeeping function, see John Herrman, “Inside Facebook’s (Totally Insane, Unintentionally Gigantic, Hyperpartisan) Political-Media Machine,” New York Times 24 August 2016. Asa Briggs and Peter Burke, A Social History of Media: From Gutenberg to the Internet (Cambridge, UK: Polity, 2005), 213-4. See Rock-Singer, “A Pious Public,” 433-5.